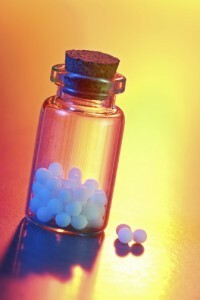 Homeopathy is a treatment for disease that was discovered by a German physician, Samuel Hahnemann in the early 1800s. He had been a physician for years but decided to leave the practice, as he was so discouraged with his inability to actually help his patients with the treatments of the day (and because he knew the treatments of the day were lethal). He then began a career as a medical translator, which lead him to William Cullen’s A treatise of the materia medica on the use for cinchona bark for patients with malaria. Cinchona bark is used to make quinine, which is an efficient muscle relaxant. Cullen’s masterpiece talked about Cinchona being effective because it was bitter. That concept made no sense to Hahnemann, so he decided to investigate the matter for himself. He began dosing himself with Cinchona twice daily for several days. Sure enough, he developed symptoms identical to those of one with malaria. From this experience and his knowledge of the philosophical investigations of Hippocrates, he concluded that in order for a drug to be effective, it had to produce symptoms in a healthy person that were similar, if not identical, to the symptoms of the disease it was expected to treat. This concept, known as the “Law of Similars,” is the foundation for the philosophy of homeopathy. 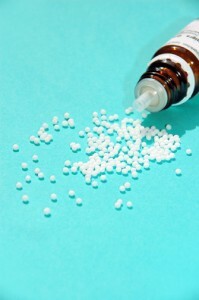 Each of the natural substances that make up homeopathic medicines is ultra diluted and then shaken with each dilution. This process takes a previously poisonous substance (such as Belladonna) and creates a medicine that is effective, very gentle and safe. Soluble compounds or liquids are diluted in alcohol, and those that are insoluble are diluted by repeated grinding with lactose. The solute (substance that has been dissolved) imprints on water its molecular information for function. The water molecules cluster into formations to hold the “memory” of the information. The liquid result is then placed on crystallized milk sugar to get the solid form of the homeopathic medication. (There is no biological difference between the solid or liquid form of a homeopathic medicine.) Homeopathic medicine functions by the utilization of minute amounts of substances that serve to trigger the body’s immune system so that it can heal itself. Those tiny little pellets that you give your baby to relieve teething pain or take to relieve a cold are the result of one man’s conviction that there was more to healing than the traditional allopathic medicine. Homeopathy isn’t magic, it’s been scientifically tested in double blind individual studies, plant studies, animal and human studies. Nobel Prize winner, Professor Luc Montagnier, has spent years studying the why and how of homeopathy. His research has confirmed that there are electromagnetic signals that remain in the water used to dilute the homeopathic substances; the dramatic effects of the functioning biology is not to be ignored. Because we care about the well-being of our children, homeopathy is a safe and effective way to help their immune systems work the way they were designed without suppressing their bodies with traditional medicines.